Location:- One mile north of Cardiff’s boundary in the village of Tongwynlais. 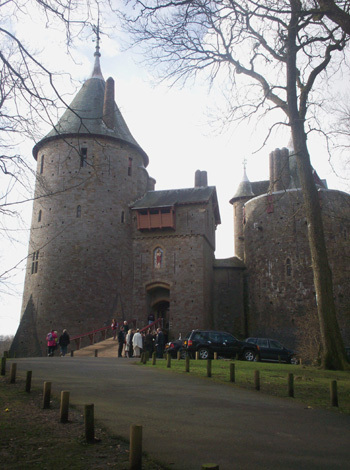 An exciting family day trip can be had at the majestic Castle Coch, surrounded by dense woodlands, full of trails, paths and adventure. This fairytale fortress peaks out above the tree line and offers a tantalising view of the past. The Beautiful Gothic, nineteenth century, revivalist castle just outside Cardiff on the hillside above Tongwynlais is a marvellous example of Victorian romanticism and splendour. The castle is based on the ruined foundations of a former Welsh Lords Keep that was built to protect and defend the wide valley opening of the River Taff. By the time of the 13th century the site had been claimed by the De Clare family but with the construction of the much larger Caerphilly Castle, 5 miles north. It soon fell into disuse and ruin and historians in the 16th century were already describing it as being in a ruinous state. The 3rd Marquis of Bute, Cardiff’s 19th landowner, decided to clear the site and recreate a representation of the original fortifications, as they would have appeared in their heyday. The architect, William Burges however took some liberties with the design by the addition of fluted roofs on the towers, of which there is little evidence of in Britain but felt it added to the overall look of the project. 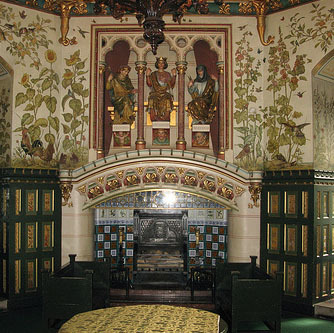 Lord Bute is reputed to have only slept at Castle Coch on four occasions saying he found the apartments cold, damp and uncomfortable. The small castle is a wonderfully romantic vision of a building that probably never really existed but it serves as a great example of constructional abilities of the early castle designers. The interior applied decorations provide a marvellous exhibition of the art of stencilling and are well worth the visit. There are also spectacular views down across Cardiff towards Penarth Head and the Somerset countryside beyond the Severn estuary. The surrounding woodland Fforest Fawr on Caerphilly Mountain also presents nicely laid out parkland with well sign posted walks, cycle paths and picnic sites to enjoy. 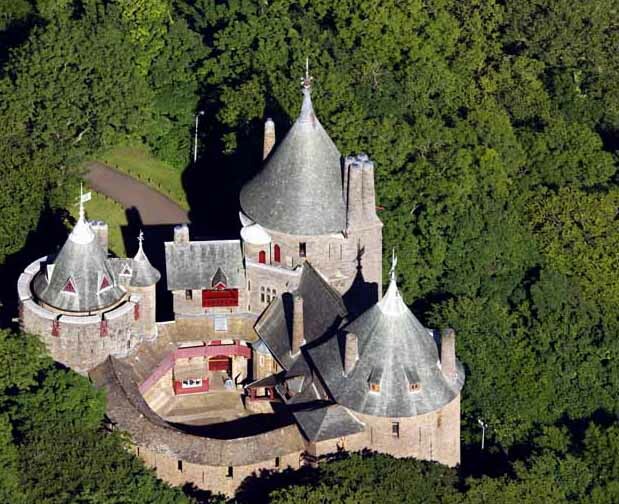 Anyone looking for a fairytale wedding venue can hire this castle for the occasion. Its size however does restrict the numbers attending, as it can only accommodate small parties. 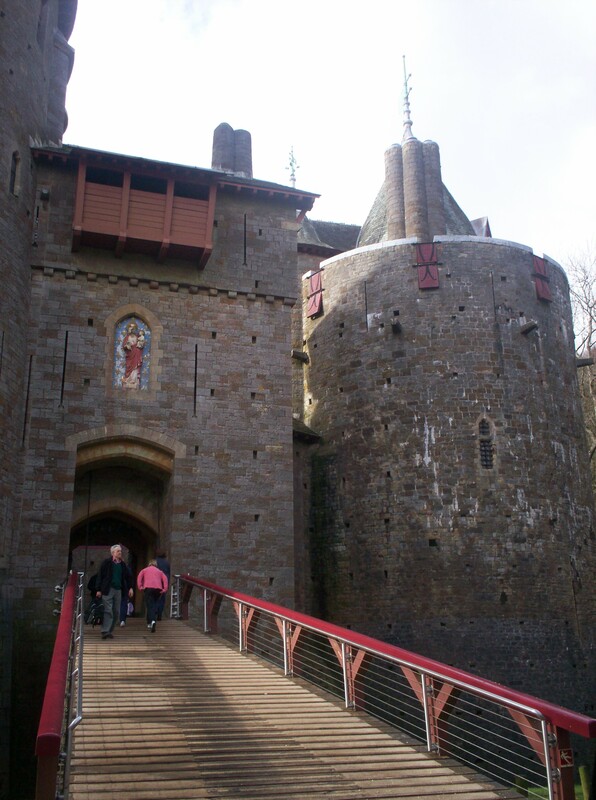 This entry was posted in tours and tagged Cardiff, castell, Castell Coch, Castle, Castle Coch, day out, picnic, tour, trip, Wales, walk, Welsh Castle. Bookmark the permalink.